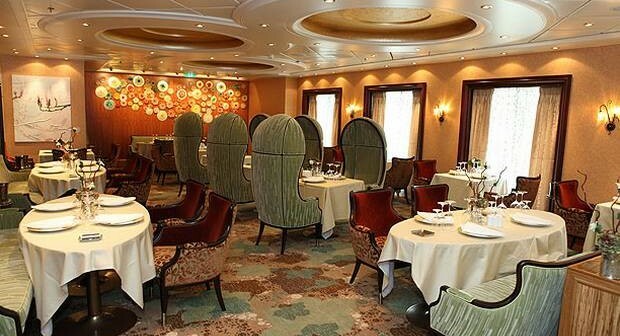 If you’re a fan of multicultural cuisine you will love the selection of dining options available on board Royal Caribbean’s premium ocean vessel, Oasis of the Seas. 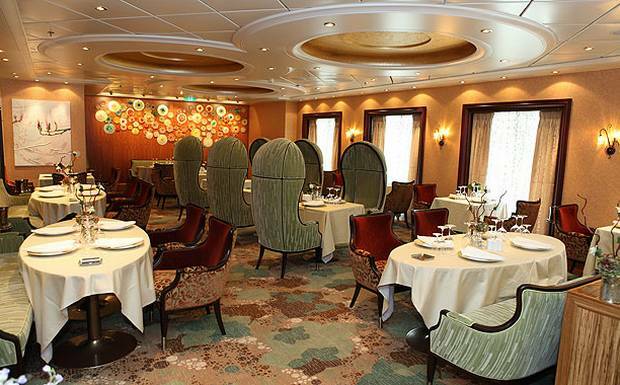 For those looking for a challenge, why not attempt to dine worldwide by indulging in one course at each of the ships 21 tantalising dining options? To help get you inspired, we’ve come up with a sample itinerary that will take you from Jamaica to Japan in the space of just one day! Start the day with a caffeine fuelled energy boost at Central Park’s Park Café. Once you’ve finished, head over to the Windjammer Marketplace for a delicious buffet breakfast. If you can still squeeze in a morning treat, make your way over to Café Promenade which serves a delightful range of pastries. After all that a.m. indulgence, you may have felt the urge to hit the gym. Why not grab a fresh smoothie or juice from the Vitality Café located within the Fitness Spa? The sun is high in the sky and lunch awaits! If you’re feeling famished, Giovanni’s Table is a casual Italian dining option. If you’re after something light, a healthy salad or sandwich from the Boardwalk Bar could be the go. If you’re feeling a little peckish as you lounge by the pool, grab a complimentary burger or hotdog from The Wipeout Café. Alternatively, Johnny Rocket’s flips a pretty famous burger. As the day ticks on it’s time for an afternoon pick-me-up from the Mondo Coffee Bar followed by a visit to The Boardwalk Donut Shop, Ice Cream Parlour or Candy Shop. What better way to start the evening dining regime than with a serving a Caribbean style coconut shrimp from The Seafood Shack? After you’ve watched the sun set, hit up Sorrento’s and share a made to order pizza as a tasty entrée. For another bite sized flavour hit, make your way to Izumi where you can purchase individual sushi rolls. After all that nibbling it’s time for a glass of vino. Vintages pours a fine drop which can also be accompanied by tapas if you can squeeze some in. Start by sharing a delectably juicy steak at Chops Grille. Then stroll across to the Solarium Bistro which serves up guilt free, calorie conscious cuisine. For afters, indulge your sweet tooth with something from Oasis’s most exclusive dining venue, 150 Central Park. Hopefully you’ve still got room for one last bite of pudding which can be found the vast Opus Dining Room. Wrap up the day with a sneaky pot of Ben and Jerry’s delivered straight to your cabin via Oasis Room Service. If you’d like to take on this fantastic dining challenge, you can find our Oasis of the Seas cruise packages here. Alternatively, you can give our friendly sales team a call on 0808 274 6777.